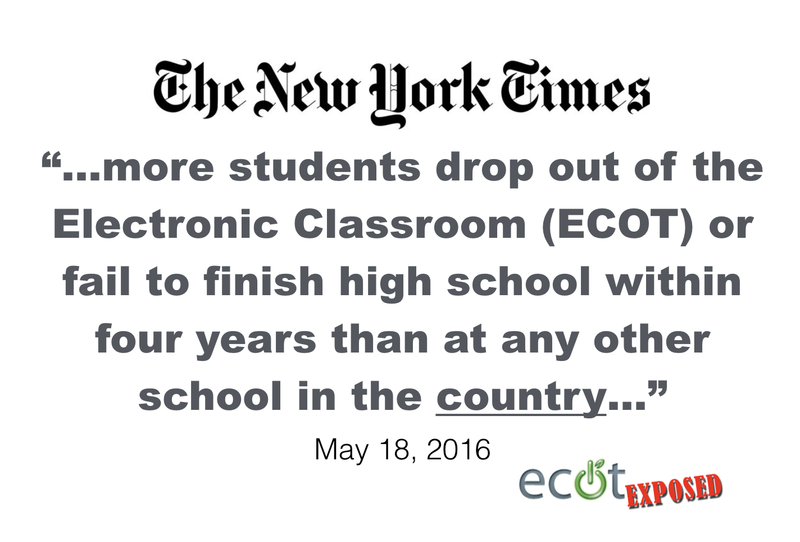 The following is a excerpt from the New York Times article published 5/18/2016 and tells the story of one ECOT student who had problems beginning her classes and then when she could finally begin felt like the classes were way too simple. Alliyah Graham, 19, said she had sought out the Electronic Classroom during her junior year because she felt isolated as one of a few African-American girls at a mostly white public school in a Cincinnati suburb. 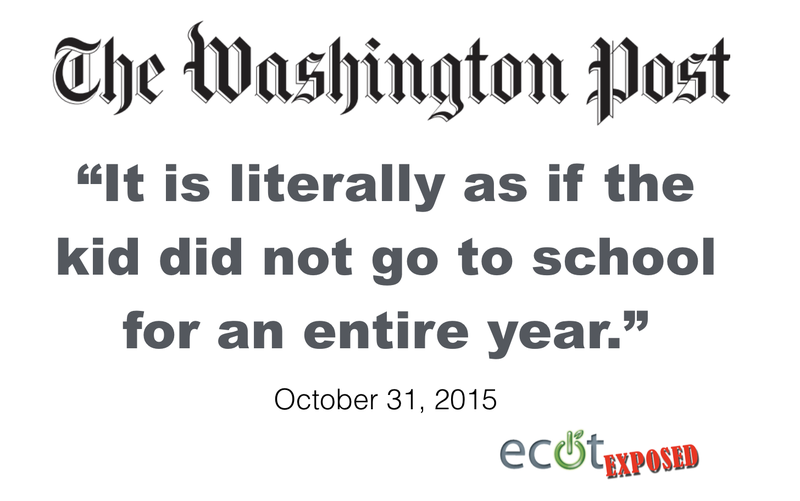 “I feel like I did this kind of work in middle school,” Ms. Graham said. The following is a excerpt from the New York Times article published 5/18/2016 and points out William Lager’s words don’t match his actions. Through the Electronic Classroom, he wrote, he planned to make public education more efficient and effective. Peggy Lehner, a Republican state senator who sponsored a charter school reform bill that passed the legislature last fall, said the problem was the school, not the students.